Bang! Zoom! To the Moon - With Gene Marshall and..... George Lucas? It's bonus day, with two Preview 45's featured! And both of them have one song which addresses the space race and the first moon landing. 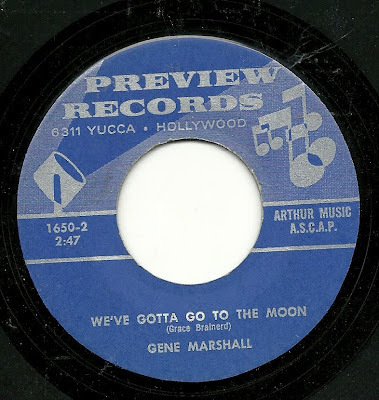 The first one, Gene Marshall's "We Gotta Get to the Moon", has a label number which appears to place its release right around the time of the first moon landing, in the summer of 1969, although the words were no doubt written a bit earlier. 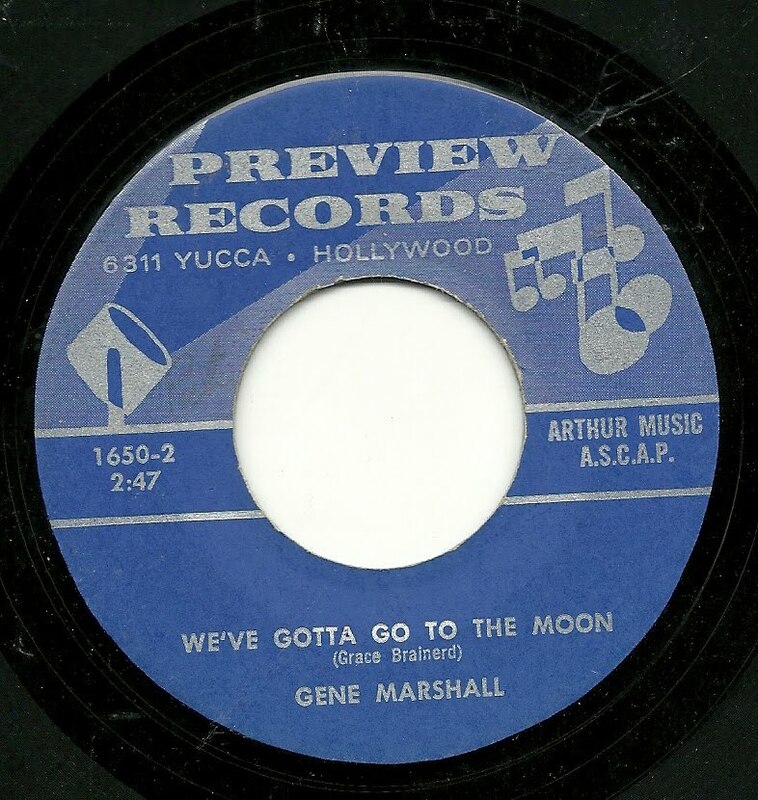 This is a peppy number - I love that space-age opening bit, the driving drumming and piano, and best of all, Gene giving his all in a great vocal, with the only problem being the worn sound of the record - odd, because it looks quite clean, so perhaps it was just a junky pressing. The flip side of this record features Barbara Foster - a name which pops up a bit less than some others, in the Preview discography - it's been suggested to me that Barbara was actually the same singer more often credited (on MSR, anyway) as Bobbi Blake. 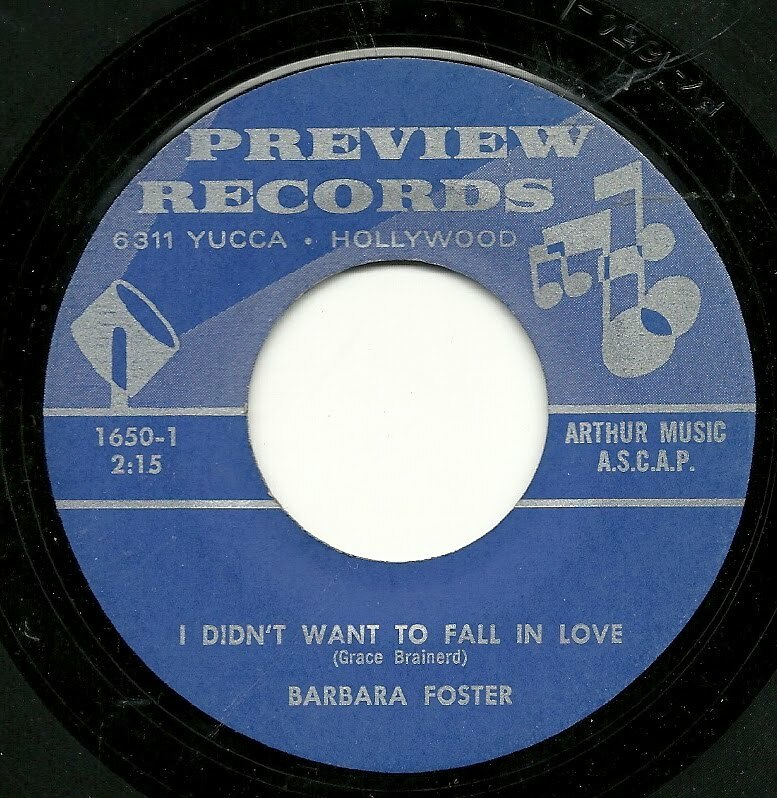 Whoever she is, she's heard here in a fairly underwhelming song and arrangement, singing about how "I Didn't Want to Fall in Love". 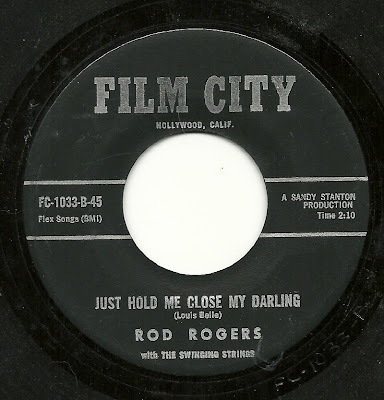 Again, the sound quality here (whether damage or pressing) is little short of horrendous (you'll probably pick out a moment that I actually had to edit in, as it took me about six tries to get the record to play that section through without skipping). 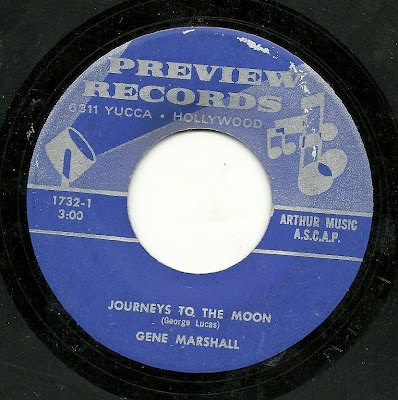 Another moon related song, far less interesting than "We Gotta Get to the Moon", and from perhaps a year or more after the first moon landing, is also performed by Gene Marshall, and is titled "Journeys to the Moon". The three minute single seems to go on a lot longer than that, with its ponderous music and dull feel. 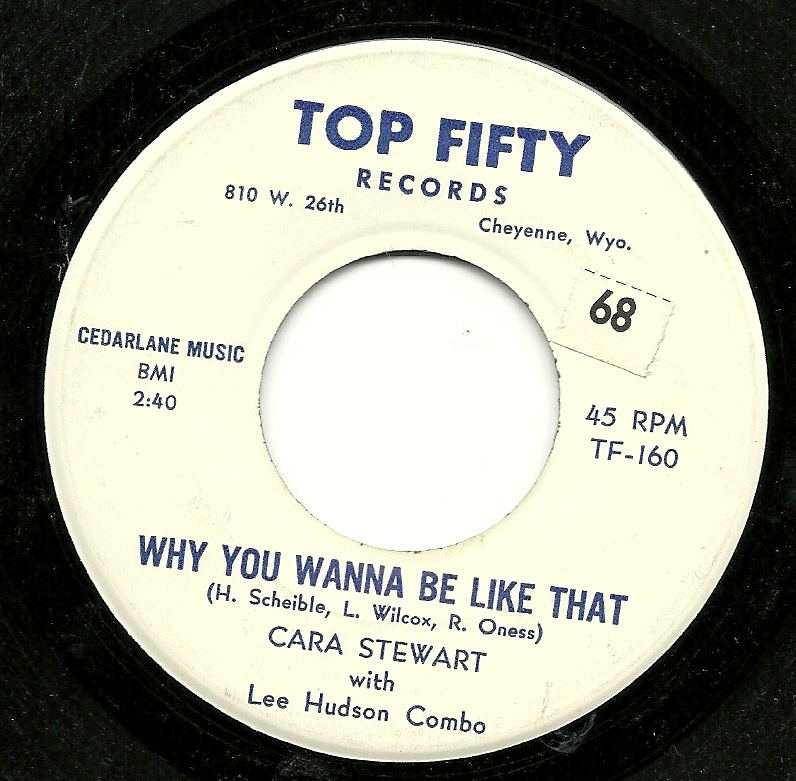 But one look at the label breeds intrigue - the songwriter is listed as.... George Lucas???? Could it be? I rather doubt it, but still, it's a weird coincidence, given the outer space subject matter. 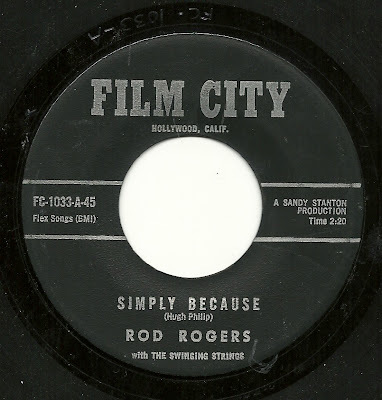 Much better than "Journeys" is its flip side. I'm not actually sure of the title of this one, as the label is damaged. The most likely title seems to be "Show Me Your Loving", although the space on the label between the visible "Show" and "Loving" doesn't seem big enough for all that. The record is not in the song-poem database, so until someone comes up with another copy, that'll have to do. 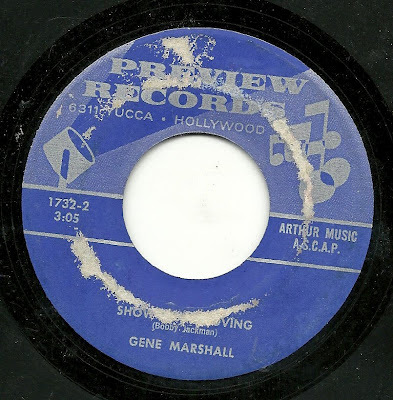 The news here is that although Gene Marshall is again the listed artist here, and does sing lead, I'm certain I hear the hand of Rodd Keith in the interesting and fun arrangement, and equally sure I hear the voice of Rodd Keith in the chorus. This strikes me as a quintessential Rodd song-poem construction. What do you think? While many people were spending much of this previous weekend celebrating (or perhaps regretting celebrations of) all things Irish, I instead spent a bit of time digitizing a record which claims a bit of a Scottish connection, instead. That connection is mostly in the title "Twistin' In His Kilt", and a few of the related lyrics, including the obligitory reference to cheap behavior (song-poet Jack Case was seemingly so intent on fitting in this reference that he didn't even bother to work up a rhyme for the line in question!). 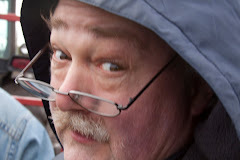 The Scottish connection to the music is quite a bit more tenuous, limited to a few moments of "The Campbells Are Coming", as honked on a rockin' tenor sax. 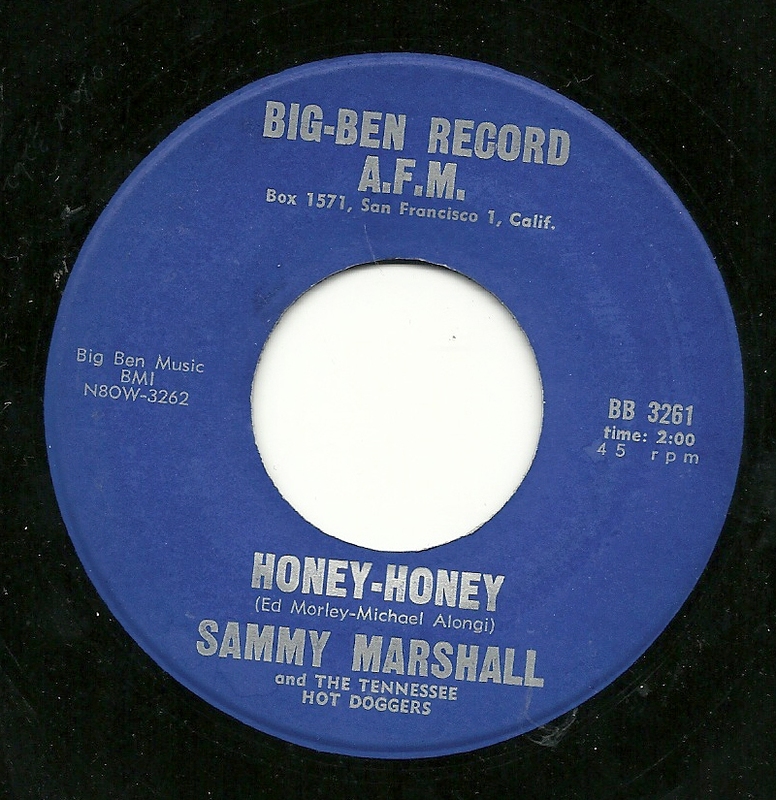 The rest of the performance is vintage Sammy Marshall, here accompanied by a group identified by the very non-Scottish sounding "Tennessee Hot Doggers". Um.... 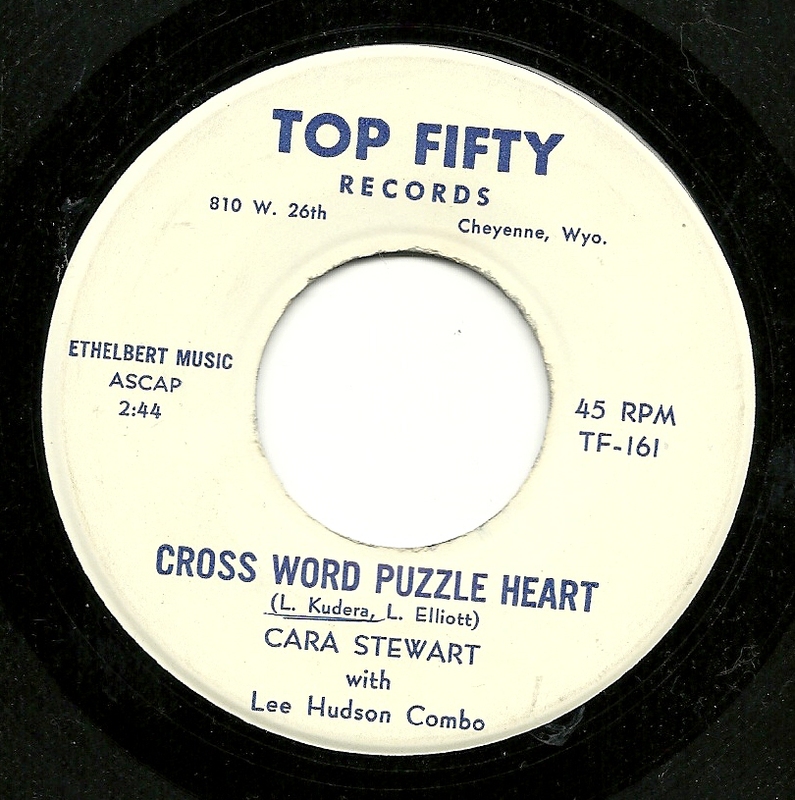 Shouldn't That Be "Jigsaw Puzzle Heart"? I've never been much for Crossword Puzzles. Jigsaw Puzzles, that's another story - I'm on perhaps my sixth jigsaw of the winter, and there must be at least 50 or so more in the basement, of varying shapes and sizes, as yet undone by me, waiting to see which of them will be next. So I was confused by the words of this song-poem. Because I know that Jigsaw Puzzles can break apart, sometimes with a bit of effort, but more often far too easily, and before you want them to. Aside from a jigsaw puzzle OF a crossword puzzle, I've never seen a Crossword Puzzle break apart, and I don't think that such a thing generally happens. 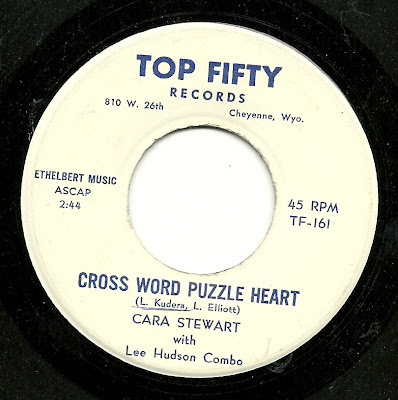 And yet, that's the metaphor here - the writer's heart has been broken, "the pieces have fallen apart", just like a Cross Word Puzzle, leading to her "Cross Word Puzzle Heart". Um,.... okay.